Hi, I’m Valentina. I was born and raised in the Monferrato Hills. As a travel agency owner I love to let you get in touch with our food, wines and Unesco World heritage hills. We have 3 Vespa’s and 10 E-bikes on which you can ride for pleasant day trips. 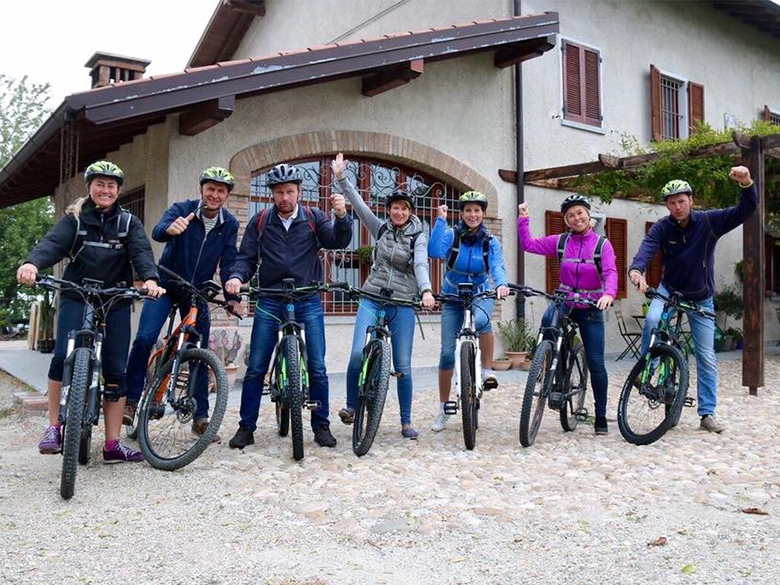 We are specialised in E-bike or Vespa tour in Piedmonte. My experience with Nizza Monferrato and its surroundings will guide you to the outstanding places around here. How about taking one of our Vespa Tour maps and driving around for a day or more? Just rent one of our Vespa’s and you will have an amazing experience. 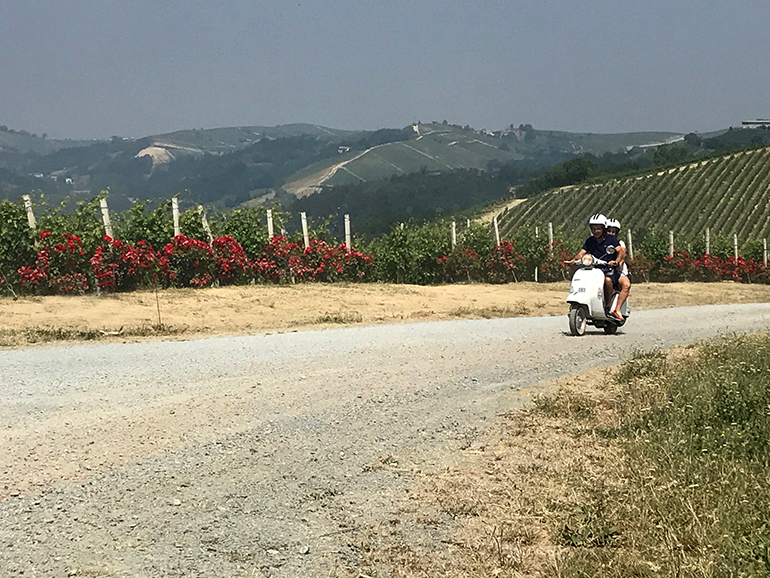 The Vespa can take you in a day as far as Barolo, one of the most prestigious wine areas of Italy. The itineraries we planned for you will take you to spectacular places, excellent wine cellars and lunch spots. Just ride one of our E-Bikesto explore the UNESCO hills. You can rent our E-bikes for a minimum of 4 hours, a day or even a week or more. We will provide road maps so you can easily find your way around the Monferrato hills. Otherwise take one of our guided tours. It’s very convenient. Our Englisch speaking guide will show you the best parts around Nizza and of course you will visit one of the wine cellars. Piedmont is the slowfood Region with most quality wines of Italy. 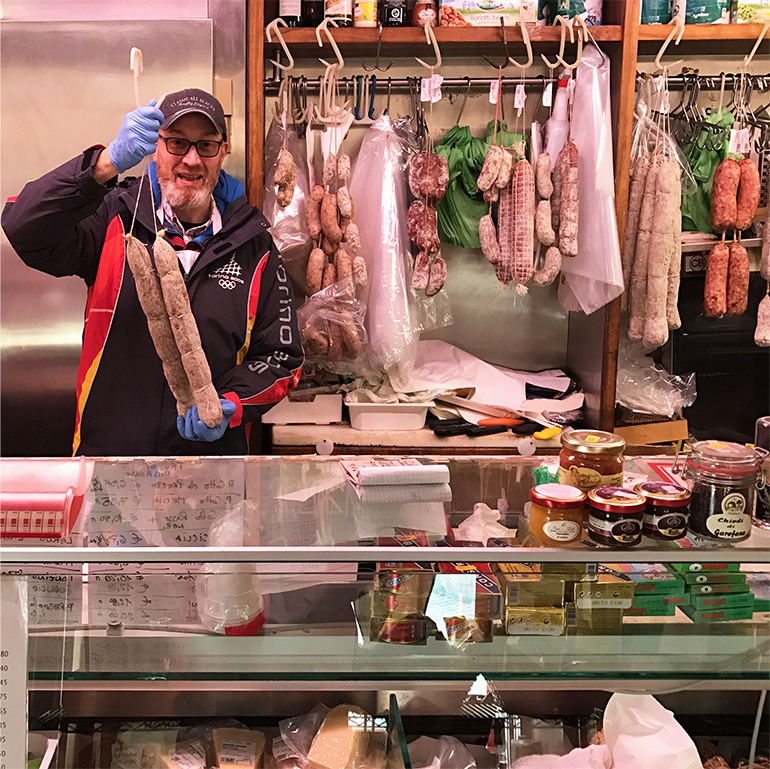 Visit Wine cellars with us, taste our local artisanal salamis, have a ‘hazelnut experience…. Just let us know what you would like to…….. Taste! The most beautiful time to visit Piemonte is in autumn. The colors range from green-yellow to red and dark brown. The temperature can still be 20 degrees . Autumn is the period for the exclusive White truffels. 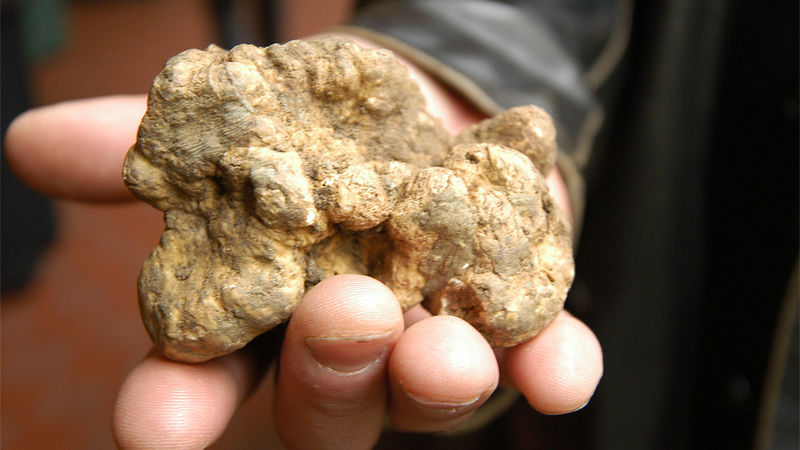 Of course Alba is famous for it’s weekend fairs but from september to december you can, with a little luck, find truffles in all Piemonte. Will you join us for a truffle hunting trip? A private tour through Piemonte ? 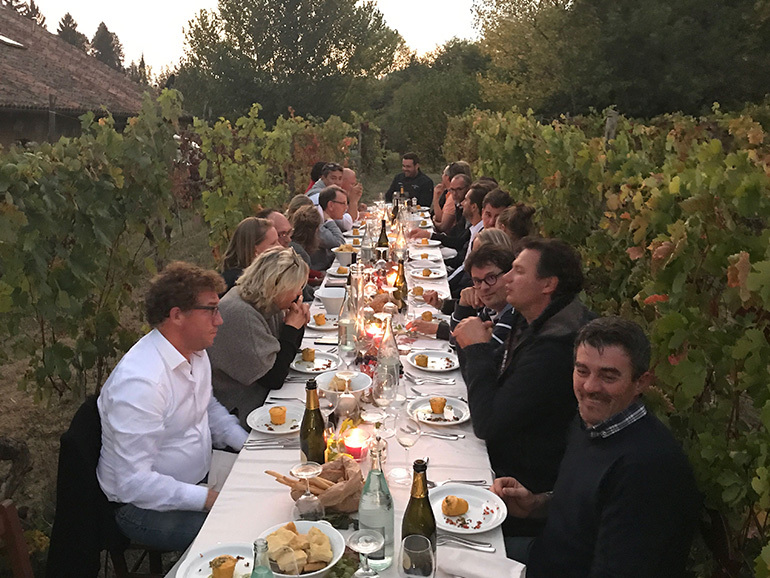 Rustic dinner in the vineyards? 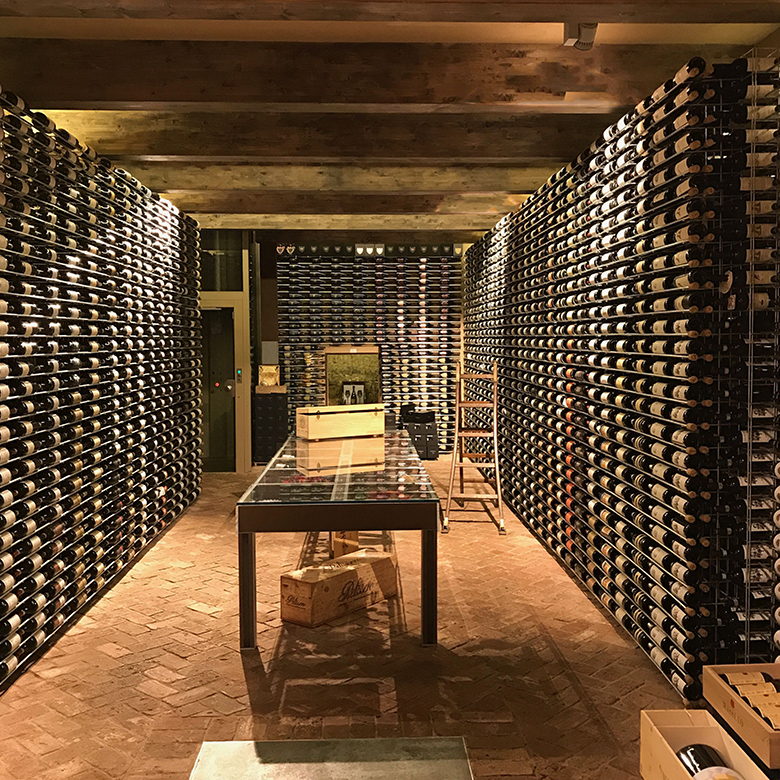 A tour of as many wine cellars as you like? Whether you’re on a family vacation, a romantic honeymoon or a cultural tour with colleagues, we would like to custom-plan your visit according to your preferences, interests and needs.